Our promotional Christmas Mini Jelly beans No Neck Bottle Label is the ultimate gift for the coming season. You are definitely bound to catch attention this holiday season with our promotional Christmas Mini Jelly Beans No Neck Bottle Label. 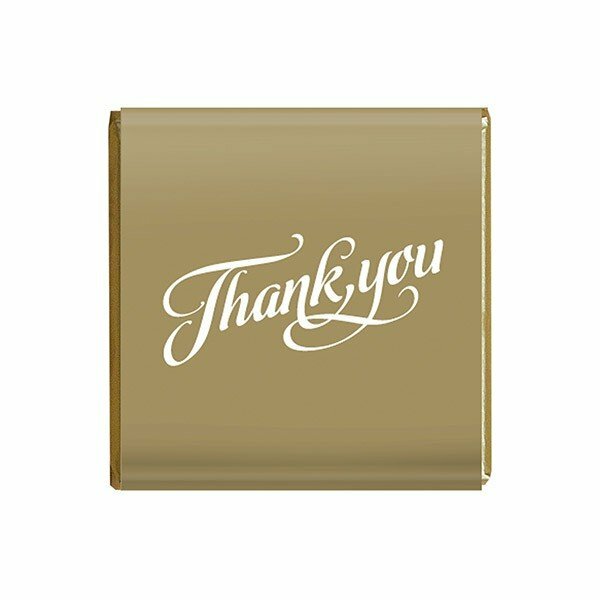 Get this for your corporate events, trade shows and simple gathering this Christmas and be ready to be welcomed with loads of holiday cheer from your colleagues, personal friends and guests. 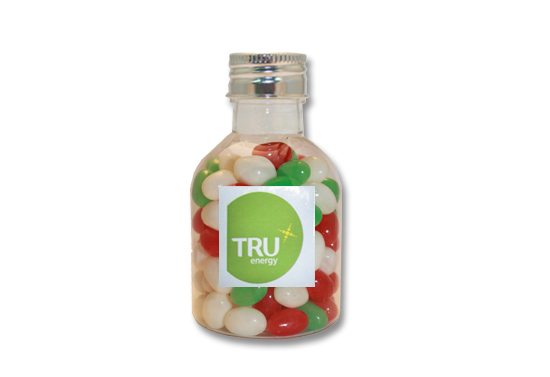 Certainly one of our most popular promotional items, this confectionery goodness contains 145 grams of mini jelly beans which you can get in an assortment of the following colours: black, white, blue, green, red, yellow, orange and pink – all charmingly bottled up in an acrylic bottle with silver lid. Your receivers are surely in for a colourful blast with our customised Christmas Mini Jelly Beans No Neck Bottle Label. Among the best parts of this amazing promotional product is you also get a printable space to advertise your company or place your custom artwork 40mm in height and 40mm in width. 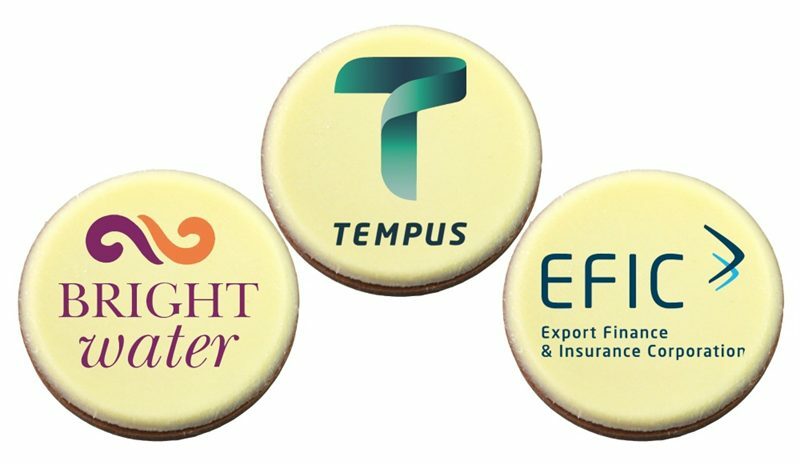 What a great way of adding sweetness in promoting your brand! It goes without saying that with our branded Christmas Mini Jelly Beans No Neck Bottle Label, your events are surely going to be something that are hard to forget. For other great saccharine treats this season, you’d definitely want to check out our branded Christmas Boiled Lollies Acrylic Canister! This product is guaranteed to make your guests feel extra special. Finally, for more amazing items, you may also want to check out our promotional caps just like the branded Combed Cotton Twill Flat Cap. This product is made of 100% cotton and comes in different colors that will surely complement your own brand. Let us talk about your amazing plans this season and give us a call at 1300 008 300 or touch base with us through live chat on our website. We hardly can wait to hear from you.